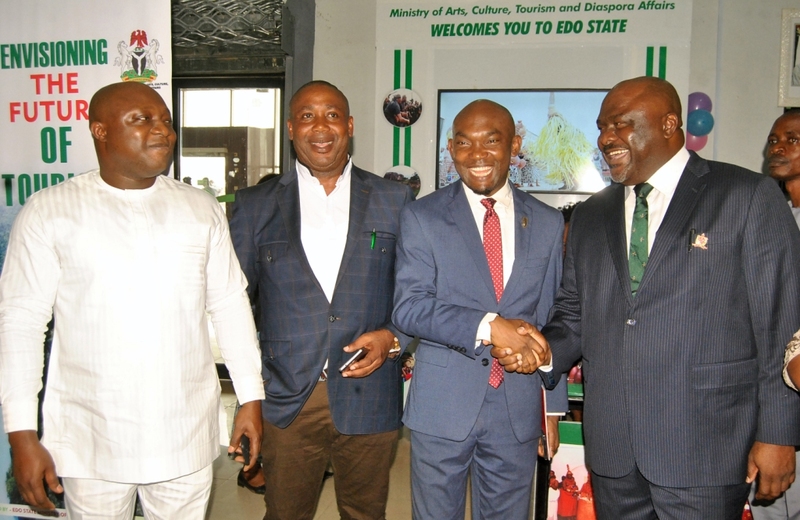 L-R: Group Managing Director, VIKO Nigeria, Mr. Chidi Lucky Kanu; Special Adviser to the Edo State Governor on Special Duties, Hon. Yakubu Gowon; Chief of Staff to the Governor, Chief Taiwo Akerele and the Commissioner for Arts, Culture, Tourism and Diaspora Affairs, Hon. Osazee Osemwegie-Ero, after the unveiling of the Tourism Information Desks, at the Benin Airport, on Wednesday, January 17, 2018.